There are usually deadlines when a property has to be sold, with property stylists the benefit of having all perked up work completed in a short frame of time is one of the best things. As most people have to look after jobs and other responsibilities it isn’t quite possible to look after vendors fixing kitchen pipes or electricians looking after switch boxes. In an extremely time effective manner, the job is pinned down to perfection. Those houses that have been touched with the magic wand of a property stylist are said to be sold off in lesser number of days as compared to the ones that haven’t. 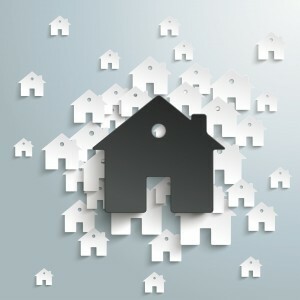 An average reduction of 50% days is reported by real estate agents working on selling properties. Therefore, a house that would be sold in 60 days is most probably going to hit the market in 30 days only. Property stylists know exactly what to do in order to attract buyers. There is no extra expenditure done to make the house look like a magazine home. Only the important parts are fixed and made more appealing to the eyes. The difference between an interior designer and property stylist is just that, an interior designer would personalize the space and add stuff to make it look cozy and homely. Whereas, a property stylist would neutralize it and take stuff out of the home to make it look liveable and comfortable for new people. The value at which a house is sold before the property stylists come in is dramatically affected after the house is styled. Property styling is basically not adding in anything, it is to identify the exact spots that need fixing and can be spruced up to give a more attractive and appealing outlook. So, in essence property stylists touch up every single factor that increases the value of a property and guarantee sales at a higher price. Consulting an interior designer to have the home redone is expensive and eventually might not even increase property value in return. Property stylists aim to use the minimum amount of money invested and only focus on the existing items and how to present them in a better way. Costs therefore end up being way lesser than what might have been summed up with an interior designer. And the final result is good enough to make the seller think twice whether to sell it or keep it. Are you thinking of selling your property, yet you don't know where to start and where to going to end. After hearing your name through a referral it was a pleasure meeting you and working with you on my very own investment property. You styled my apartment and allowed me to sell the property with a vision. I was so impressed with you style, speed and your word that I have and will continue to refer you to my clients. I believe in you and your work and thank you again. "Just wanted to say a very big thank you to you for the amazing staging you did for the sale of our apartment. Living on the other side of the country, can be difficult when engaging someone to make our apartment look stunning, however when we first spoke on the phone, I knew that Mark & I were in very good hands and we always had complete confidence and trust in you. You kept us updated at all times and to see your work via video, made our apartment look perfect, very inviting and salable. At all times you were very professional, bubbly and friendly, and understood perfectly my taste in decor. You have so much integrity Amanda, and it has been the greatest pleasure to have you work for us.Many thanks and we wish you all the very best in your business." "I would like to thank you for the outstanding staging of my property in North Ryde last Saturday. I am so happy with the result of the sale and I would just like to express that to you. The changes that you made to my home just gave it a more modern look. I like an elegant looking home and you worked very well. You were very patient and i enjoyed working with you." © 2019 Up-Lift Interiors | Property Styling Sydney | Interior Design. All Rights Reserved.